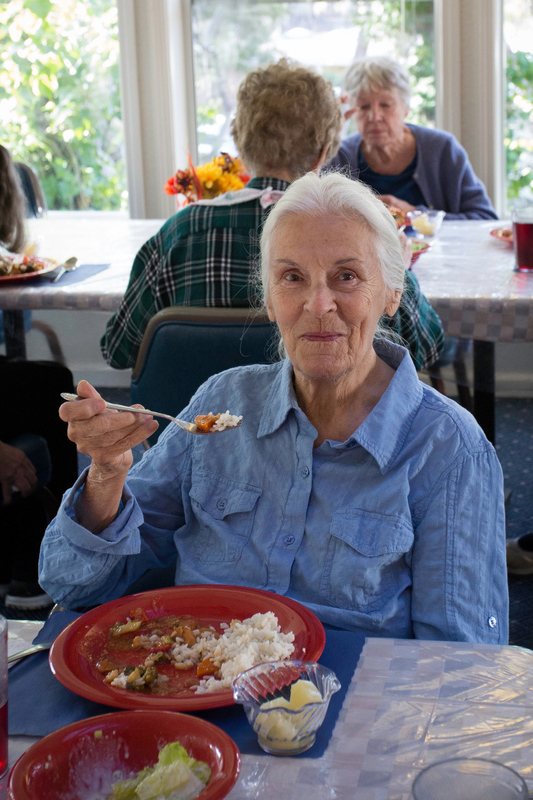 Monterey Peninsula's residential care facility for the elderly. Nestled in forested hillside above old town Monterey, for over 20 years Carmelo Park has provided tender care in a beautiful, serene setting. Our home is the perfect size to provide both peaceful privacy and a lively social environment for our residents. Our Care Team boasts many years of experience in eldercare, close ties with the healthcare community in Monterey, and a firm understanding of the special challenges faced by seniors and their families. in a family owned and operated assisted living home. Activities play a key role in life at Carmelo Park. There is always an opportunity to participate in personal or group activities in the arts and crafts area, the library, the exercise room, or at community events. Additionally, our activity coordinator plans programs along with the residents – allowing them to continue to pursue those talents they have developed over the years and also to discover new areas of interest. The kitchen is always open at Carmelo Park! Menu-planned, multi-course meals are served every day, and snacks are available to residents 24 hours a day upon request. If assistance is needed, our loving staff is always available to serve. Carmelo Park boasts a beautiful facility designed and built in 1994 with assisted living in mind. Each bedroom features lots of natural light, his and her closets and private half bathrooms. All bedrooms and bathrooms are equipped with call bells. Our common areas provide serene views into the surrounding forest and lots of space. We have some wonderful additional facility space like our library, exercise room, beauty salon, and outdoor decks which are safe, sunny and welcoming. All our services are provided with respect, dignity, and attention to individual goals and preferences. At Carmelo Park, it’s about quality of care and knowing the needs of each individual resident. To this end, we provide 24/7 support, supervision, and assistance in daily living activities. If you would like more information about Carmelo Park and how we lovingly care for our residents, please provide the information below and we will mail you an information packet.